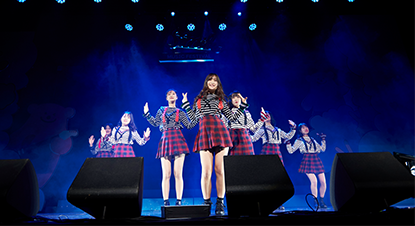 Since its establishment in 1995, SM Entertainment has pioneered the entertainment industry in Korea and is a total entertainment group leading the global Korean Wave and K-POP sensation. Our Vision and SDGs SM SMile, our dream is to build a future where we can all smile together through culture. Together, we are building a miraculous future where we can dream and smile all we want. 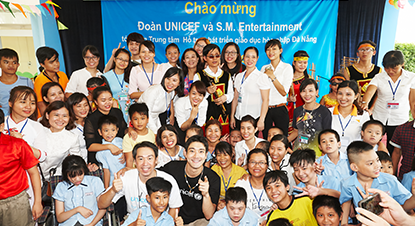 The shape of the heart is embodied inside the logo to symbolize SM's vision for social contribution activities, which is to bring love and smile together. 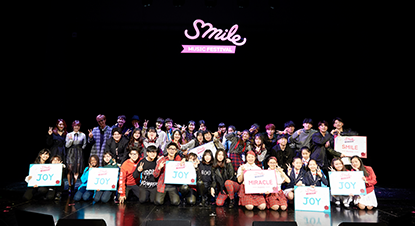 To ensure inclusive and quality education as stated in UN SDGs 4, SMile has implemented a variety of social contribution activities mainly in Korea and Asia to help children and adolescents --our future leaders-- to develop their dreams and hopes through music education. 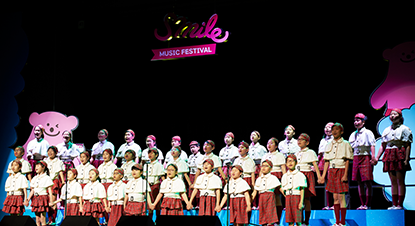 SMile Music Festival The SMile Music Festival for children and adolescents who dream to become musicians is SM Entertainment's representative social contribution program. 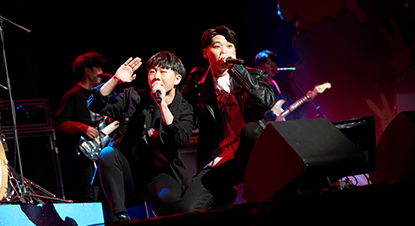 Approximately 10 teams are selected in band, choir, and dance areas, mentored and trained by SM's artists and professional trainers, and hold a joint concert in November. 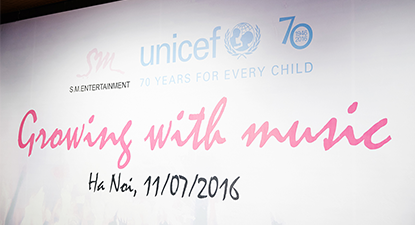 SMile for U The SMile for U Campaign started after signing the MOU for corporate social responsibility with the Korean Committee for UNICEF in November. 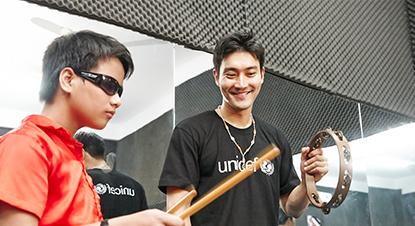 The SMile for U Campaign intends to support children in Asian regions to receive music education, and the target areas include Hanoi, Da Nang, and Kon Tum in Vietnam. 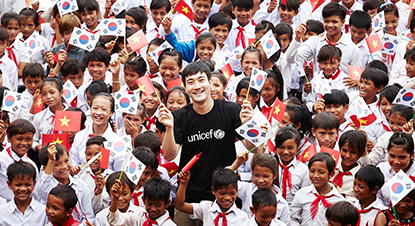 ‘SMTOWN GALA’ is held every December and the fund raised through the event will be entirely donated to UNICEF to be used for the SMile for U Campaign. SMile Social Service Corp. 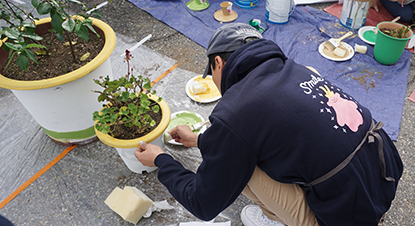 SMile Social Service Group is mainly comprised of employees and artists of SM Entertainment and all of its affiliates. 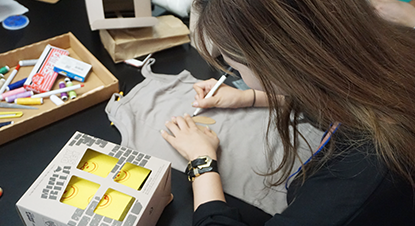 It is a group of people who are willing to serve others and voluntarily joined the service. 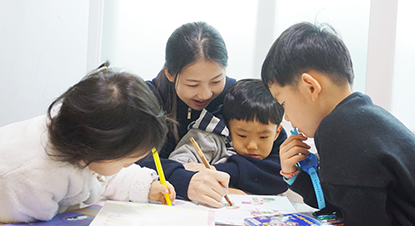 It was established in 2014 and has continued regular volunteer activities by bringing services to those who are in need.